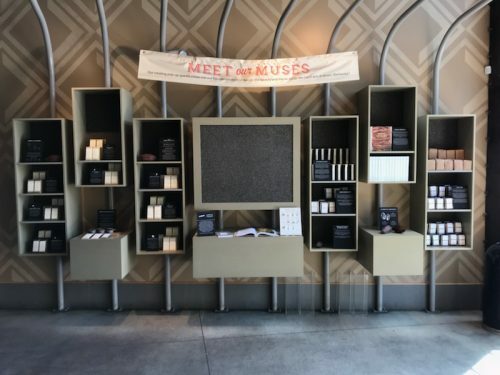 We’re almost at the end of our nine-day pop up in New York City, and…WOW. We are just so humbled. Day in and day out, our tiny little corner café in Chelsea has been flooded with such warmth and enthusiasm, and we can barely keep the s’mores in stock! Chef Lisa and her team have doubled down in their little commissary kitchen, rolling out impossible numbers of cookies and tarts and brownies and more. We’ve made more hot chocolate this week than we thought we ever could, and we’ve been teaching chocolate making classes to the best and most welcoming crowds. We have a few more classes and book events before we hit the road back to California on December 3rd, so come see us before then! The full list of events is here. Thank you New York. We really do love you. Follow us on Instagram for more pics. Thank you Gennaro Pecchia for the photos! Come to our book launch party! We still have tickets left for our book launch party on November 14th at The Archery! Our book hits shelves that day, and we’re really excited to share it with you and celebrate. We’ll have cocoa nib-infused beer from Almanac Beer, Co., smoked brisket from Central Kitchen and bites from The Cheese School, cocktails from Workhorse Rye, and of course, a decadent spread of cakes and more from our own Lisa Vega and her team. We’ll be signing books, too. Hope to see you there! And for those of you in Southern California, we’ll be throwing a second launch party at Hedley & Bennett in Vernon on November 16th, from 6:30-9pm. The event is free and open to the public, and you can RSVP here. On November 17th, you can also catch us signing books from 10:00am to 11:30am at Thyme Café and Market. We look forward to seeing you and sharing our chocolate! 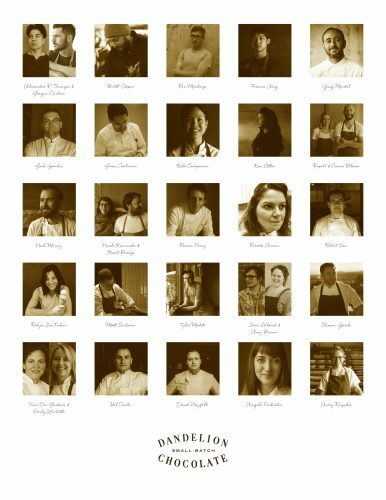 Here at Dandelion Chocolate, we LOVE food. The chocolate-y items, of course, but it doesn’t stop there. Talking about flavor and taste is an everyday occurrence around here. It’s also a big part of our jobs. As the Event Manager, one of the things that I get to do is organize and enjoy all of our pairing events, which means tasting a lot of delicious things, with a lot of nice people. 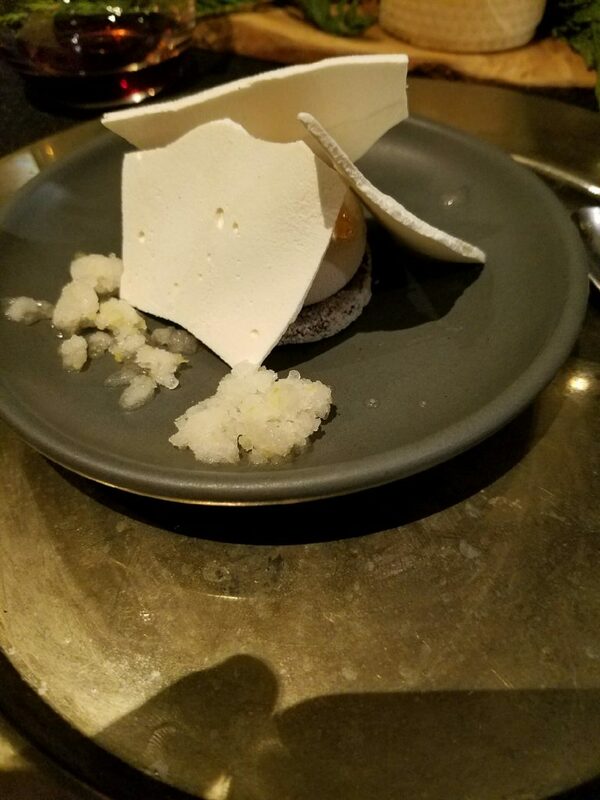 I often think of pairings in the following way: individually, chocolate and another food item may each taste amazing, but when you pair them together, they could taste like pond water, soap, or an unidentified yuck. That’s what I consider a bad pairing. No offense to pond water. But, if you taste two yummy things alone and when they’re combined, they create a whole new taste sensation that calls to mind something that neither product was able to reveal on it’s own, that’s a great pairing. And sometimes a great pairing is also an opportunity to get to know your fellow tasters a little bit better. One of the things that I love most about these types of events is hearing what other people taste when we pair different things together. Barbecue potato chips? Margarita pizza? A rocky stream bed? Birthday cake? Chocolate croissants? Orange blossom water? What?! I mean yum! It is exciting when a particular pairing really invokes a specific emotional response for someone, like memories from childhood or travel. Usually these taste sensations are really, really specific and include time, place and people. Like the milk left over from that cereal with colored marshmallows. Or a bowl of summer berries with not-too-sweet homemade whipped cream. Or that time that you burned the chocolate chip cookies just a little bit, but ate them all anyways. It is amazing that so many nuances can often be discovered with such simple ingredients, like sugar and cocoa beans. For me, it’s a treat to really get to savor a pairing combination. To spend the meditative time, projecting my laser-focused attention on the textures of a floral tea, or the peachy melon sweetness of an unpasteurized sake. To just think about the notes that I taste. That’s it. The slightly malty, slightly bitter quality of melting dark chocolate. The breezy berry notes and pinging acidity of an African coffee.The toothsome hamminess of a great gouda. It also helps that there are no wrong answers or very many rules. Everyone tastes differently and will prefer one pairing over the other. Sometimes, I even play Devil’s Advocate and try to match the two most outlandish items together — just for fun! Hosting, planning, and participating in these chocolate pairing events has made me change my mind about what my favorite and not-so favorite Dandelion chocolate bars are – welcome back to #1, Madagascar! I the love the challenge of trying to find a good match for a strong Pu’er tea, or a bold blue cheese. If you think that you know all the nuances of your favorite Dandelion Chocolate bar, that there is nothing new left to discover, I invite you to pair it with a great quality cheese, sake, coffee or tea. See where it takes you. Hopefully to a newfound sense of excitement and curiosity about food and flavor. Check our website here for the listing of our upcoming pairing classes in May and June. The 12 Nights of Chocolate are Here! 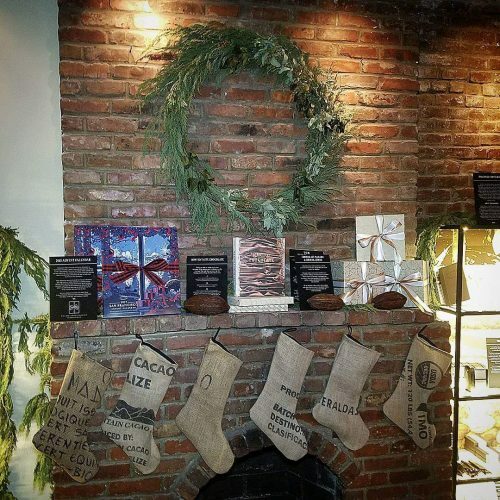 We are thrilled to announce our fourth annual 12 Nights of Chocolate taking place December 1st through 12th. Each year, we invite chefs to take over our cafe and create a menu that follows two rules: use our chocolate, and don’t hold back. 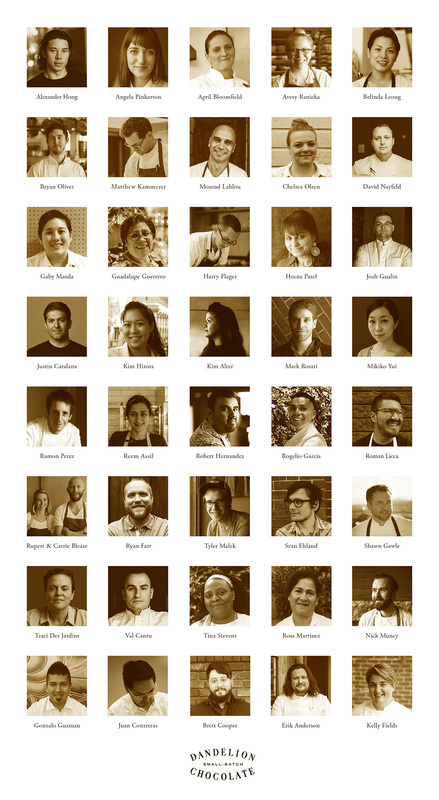 Over the years, we’ve hosted some of the best chefs in the country who have created menus ranging from quail and duck with mole, to the classic Mont Blanc dessert made by a three star Michelin chef. 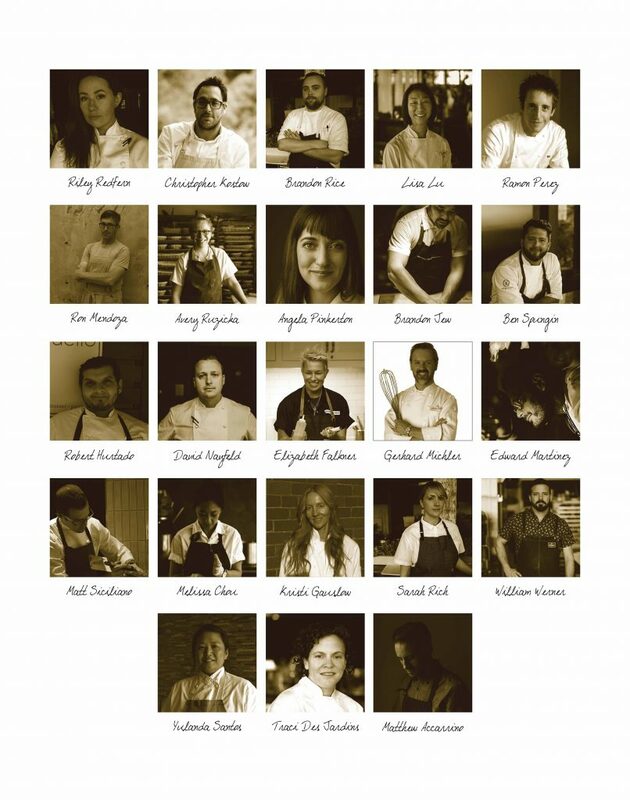 All proceeds go to the SF-Marin Food Bank, for whom last year’s event raised over 60,000 meals. This year, the evenings range from a seven-course tasting menu—both sweet and savory—to a family-style brunch after dark, with cocktails. More information and tickets here. This December, we’re excited to bring you the third annual 12 Nights of Chocolate—our yearly sweet and savory celebration of all things chocolate. 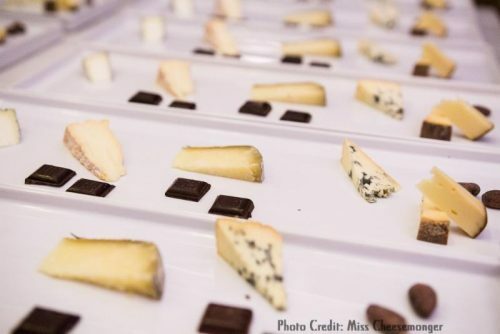 Each year, we team up with or lend our space to chefs and pastry luminaries who take our chocolate and run with it to create a series of small plates, pairings, or tastings. We provide no guidelines or restrictions (other than using our chocolate), and each group of chefs is given free reign to do as they please. All proceeds go to benefit the SF-Marin Food Bank, which distributes three meals for every dollar raised. Last year, we were able to raise enough for 45,000 meals, and we’re hoping to raise even more this year. A donation bin will be located just inside our cafe for the duration of the series. Stop by to drop off cans and non-perishable food anytime during this holiday series. More details on the food bank’s most needed items here. To kick off our series, three stellar chefs bring their own unique approaches to a multi-course sweet and savory evening inspired by the Twelve Days of Christmas. Wines paired by Master Sommelier Alan Murray. 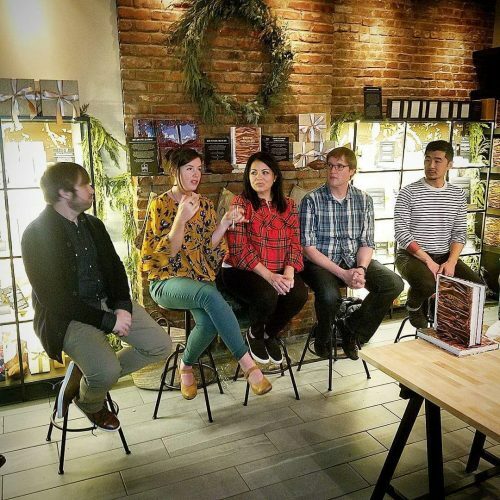 Francis Ang (Dirty Habit), Ramon Perez (Puur Chocolat), Matt Siciliano (Michael Mina) with Almanac Beer Co.
A team of three draw on their diverse expertise to explore the possibilities of chocolate across the spectrum from savory to sweet. Beer pairing provided by Almanac Beer Co.
For one night only, the Dandelion Chocolate café will be set up as a small movie theater to screen Willy Wonka and the Chocolate Factory. There will be homemade caramel popcorn and hot chocolate, of course. Treats begin at 7pm, movie starts at 7:15pm. For the duration of this event series, we’ll have donation bins set up inside of our café. We welcome nonperishables of all kinds to benefit families in need this holiday season, and if you donate today, receive a hot chocolate gift card. Maya Erickson (Lazy Bear) and Richie Nakano, with Nicolas Torres (Lazy Bear) & Brandon Presbury (Sous Beurre Kitchen). 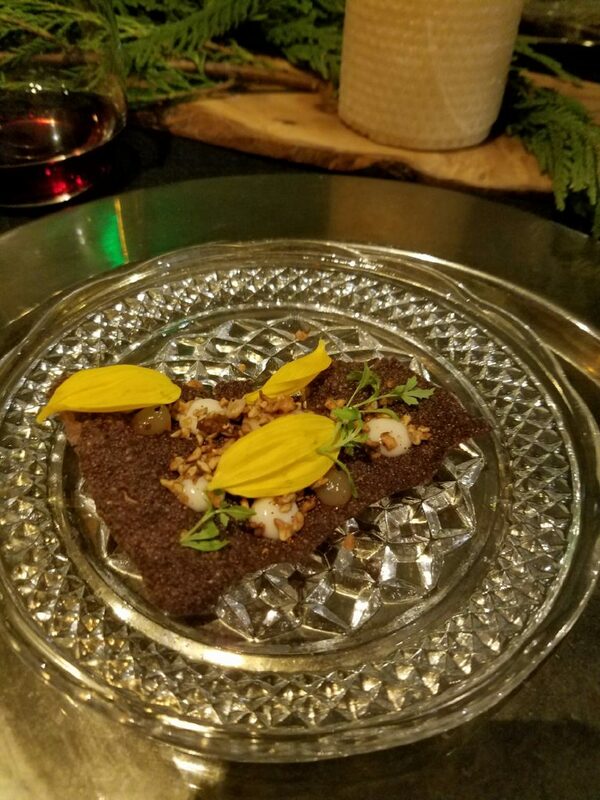 Maya and Richie team up to create a night of inventive, unexpected chocolate dishes, augmented by drink pairings by Brandon and Nicolas. What happens when three Michelin-starred chefs get together to create a three-course dessert menu? What’s old becomes new again, and it’s nothing like you remember. Our friends and neighbors at Bi-Rite Creamery create an evening of holiday sundaes, hot fudge, and cookies. Cava will be served courtesy of Bi-Rite. For one night, three restaurants take over our café to bring you a selection of sweet and savory chocolate dishes designed by Lisa and Thomas, alongside three cocktails by the clever and notorious Bon Vivants. 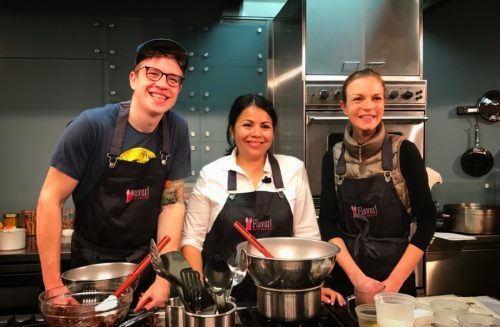 Sean Ehland (Aster), Amy Brown (Marla Bakery), Omri Aflalo (Wayfare Tavern). Wines by Bartholomew Park Winery. Three diverse approaches to dessert braided into a single night. Sean, Amy, and Omri make six courses for a single evening of sweet, surprising, desserts. 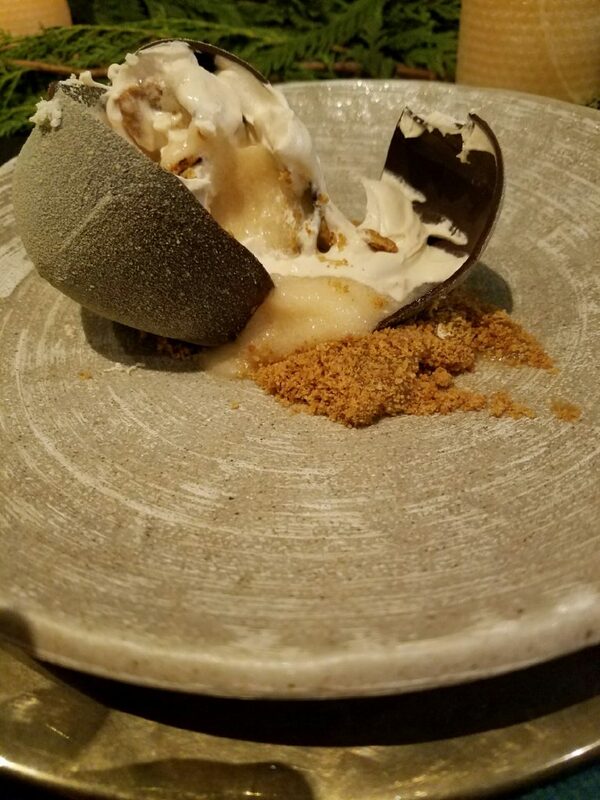 An inventive chef and an infamous mixologist team up to create a three-course dessert and cocktail menu, built around the specific flavor profiles of Dandelion’s single origin chocolate. Please join us on December 12th as Art in the Age takes over our mezzanine for an evening of spirits and sweets. 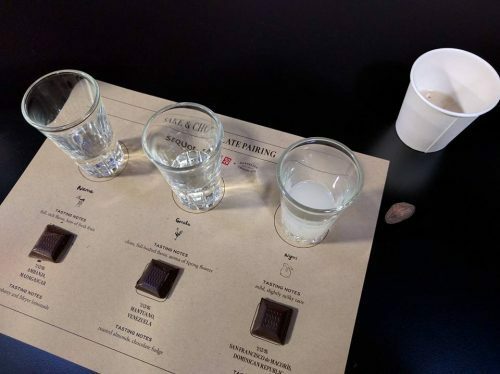 Art in the Age will share their line of California-distilled USDA organic spirits, and Dandelion Chocolate will be sampling their handcrafted, single origin chocolate. There may even be a spiked hot chocolate or two, just in time for winter. 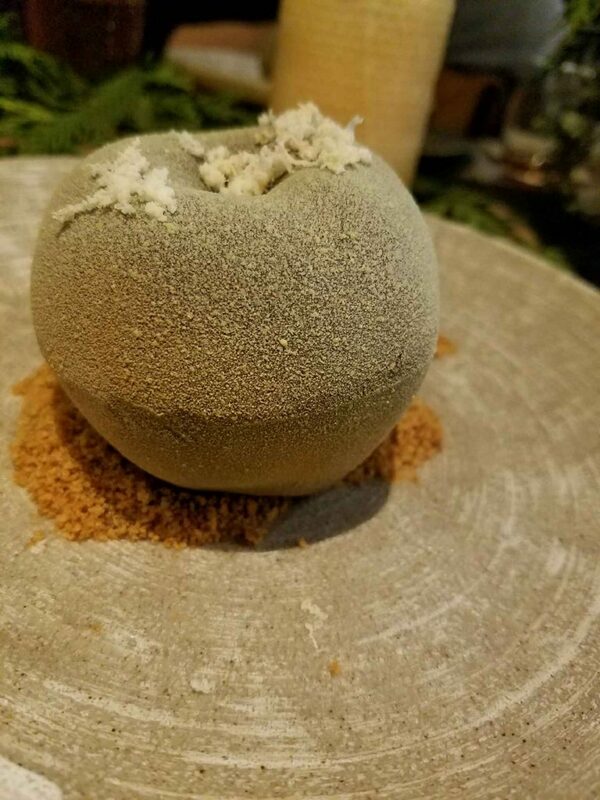 Nicole, Mikiko, and artist/chef Leah Rosenberg are bringing the style of State Bird Provisions to our cafe for an unforgettable night of savory and sweet bites, matcha, a spirited shake, bubbles and more. And you won’t even have to stand in line. We are very excited to announce that this spring, Dandelion Chocolate will be building a parklet on Valencia Street. To support the construction, labor, and materials of the design we have launched a long awaited Kickstarter campaign earlier this week. 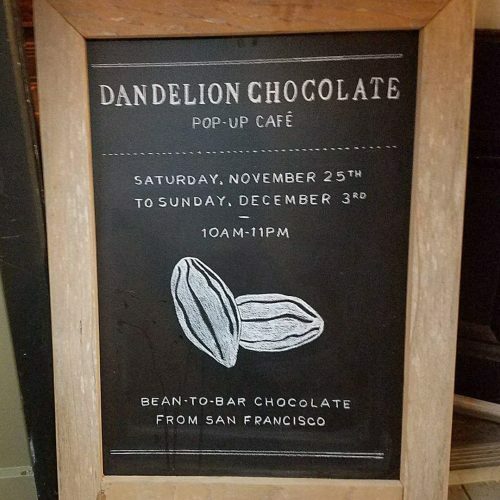 Each month, Dandelion Chocolate donates 1% of our chocolate to various San Francisco-based groups including local schools, fundraisers, and non-profit organizations. 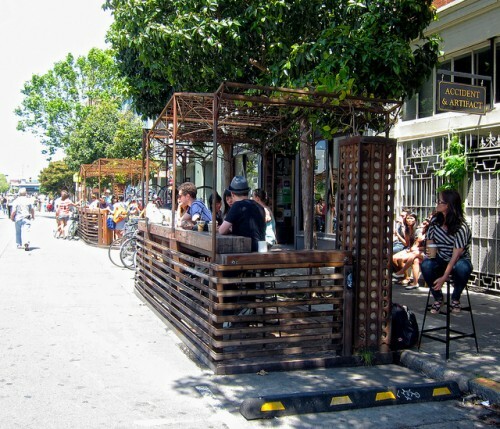 We are very excited about this opportunity to contribute to the community and pilot a project that will enhance the street, provide a respite for pedestrians and serve Valencia Street by offering a unique space outdoors that is not an extension of our business. The projected cost of this project is $30,000. 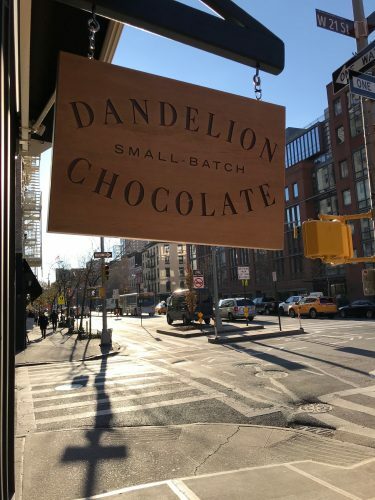 Dandelion Chocolate will but doubling the impact of donations made during our 30-day campaign by matching funds dollar-for-dollar. 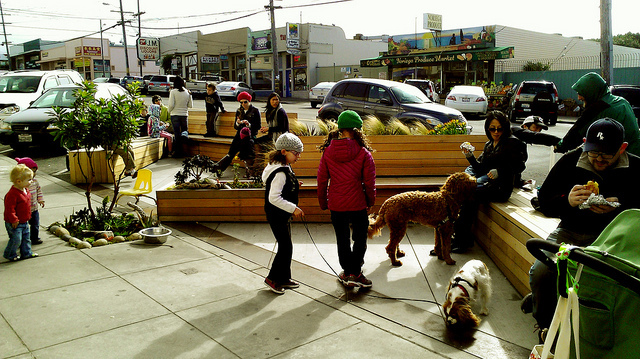 That means every dollar contributed by project backers puts two towards building the parklet! Also, every $100 backed will support 1 square-foot of the parklet. 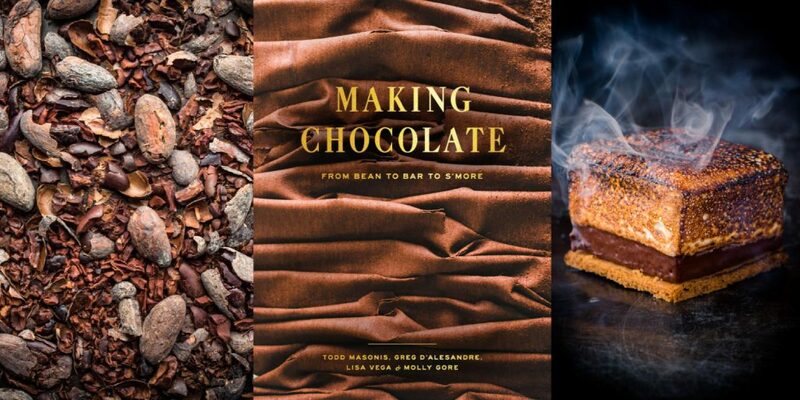 We are offering fun and unique rewards for backers, including the opportunity to be a chocolate maker for a day or to eat all the dessert you can in one sitting. Our neighbors at Mission Cheese have generously donated cheese and beverage pairings as well. Stay in the loop and take a look at our Kickstarter Page from April 13th to May 12th where you can watch our video, contribute to the campaign, earn some awesome rewards, and help us reach our goal. Thank you for your support!